The Schmidt gap for a block of spins in an infinite long-range Kitaev chain is calculated as a function of interaction range and the relative strengths of the chemical potential and hopping terms. We find that for long-ranged interactions where area law violations to the entanglement entropy occur, the Schmidt gap does not appear to close rapidly with chain length. For short-ranged interactions however, the Schmidt gap vanishes in a parameter region corresponding to an antiferromagnetic phase with gapless edge modes. These results demonstrate that the Schmidt gap can be used to distinguish quantum phases in the long-range Kitaev model. C. D. Ayang-ang and F. N. Paraan. 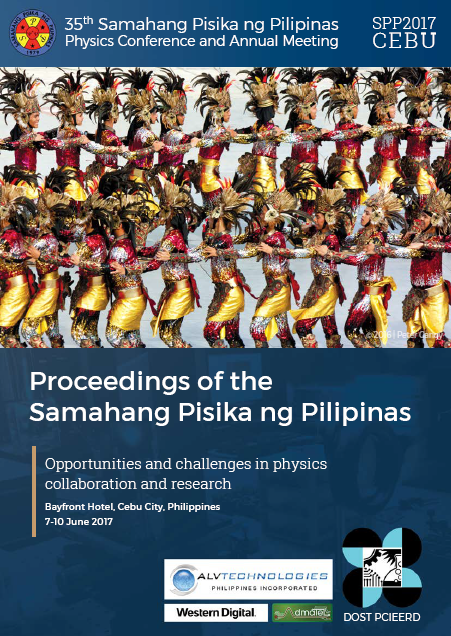 Schmidt gaps in a long-range Kitaev chain, Proceedings of the Samahang Pisika ng Pilipinas 35, SPP-2017-1C-04 (2017). URL: https://paperview.spp-online.org/proceedings/article/view/107.